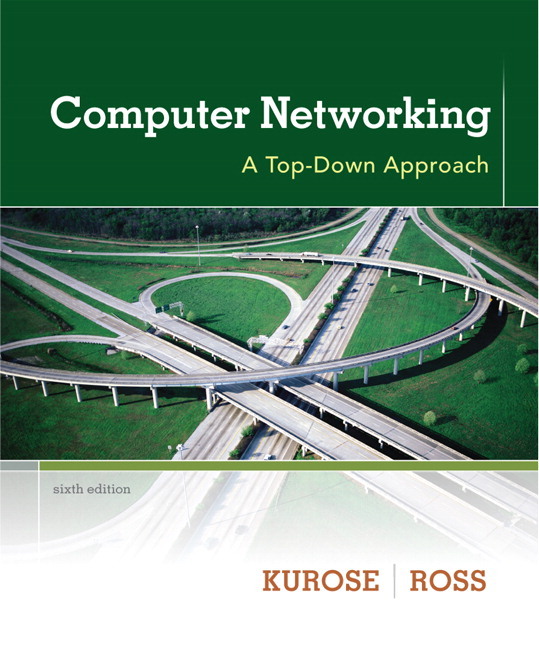 &>Computer Networking continues with an early emphasis on application-layer paradigms and application programming interfaces (the top layer), encouraging a hands-on experience with protocols and networking concepts, before working down the protocol stack to more abstract layers. A balanced presentation focuses on the Internet as a specific motivating example of a network and also introduces students to protocols in a more theoretical context. A chapter on wireless and mobility includes insight into 802.11 and coverage of ad hoc networking. Case History boxes are sprinkled in to help tell the story of the history and development of computer networking. Material on application programming development is included, along with numerous programming assignments. A highly developed art program enhances the descriptions of concepts. A comprehensive Companion Website, which includes additional learning material, links to relevant online resources, and lab material. Interactive learning material. An important new component of the sixth edition is the significantly expanded online and interactive learning material. The book’s Companion Web site now contains VideoNotes–video presentations of important topics thoughout the book done by the authors, as well as walkthroughs of solutions to problems similar to those at the end of the chapter. We’ve also added Interactive Exercises that can create (and present solutions for) problems similar to selected end-of-chapter problems. Since students can generate (and view solutions for) an unlimited number of similar problem instances, they can work until the material is truly mastered. We’ve seeded the Web site with VideoNotes and online problems for chapters 1 through 6 and will continue to actively add and update this material over time. As in earlier editions, the Web site contains the interactive Java applets that animate many of the key networking concepts. The site also has interactive quizzes that permit students to check their basic understanding of the subject matter. Professors can integrate these interactive features into their lectures or use them as mini labs. Additional technical material. As we have added new material in each edition of our book, we’ve had to remove coverage of some existing topics to keep the book at manageable length. For example, to make room for the new material in this edition, we’ve removed material on ATM networks and the RTSP protocol for multimedia. Material that appeared in earlier editions of the text is still of interest, and can be found on the book’s Web site. Programming assignments. The Web site also provides a number of detailed programming assignments, which include building a multithreaded Web server, building an e-mail client with a GUI interface, programming the sender and receiver sides of a reliable data transport protocol, programming a distributed routing algorithm, and more. In Chapter 1, the treatment of access networks has been modernized, and the description of the Internet ISP ecosystem has been substantially revised, accounting for the recent emergence of content provider networks, such as Google’s. The presentation of packet switching and circuit switching has also been reorganized, providing a more topical rather than historical orientation. In Chapter 2, Python has replaced Java for the presentation of socket programming. While still explicitly exposing the key ideas behind the socket API, Python code is easier to understand for the novice programmer. Moreover, unlike Java, Python provides access to raw sockets, enabling students to build a larger variety of network applications. Java-based socket programming labs have been replaced with corresponding Python labs, and a new Python-based ICMP Ping lab has been added. As always, when material is retired from the book, such as Java-based socket programming material, it remains available on the book’s Companion Web site. In Chapter 3, the presentation of one of the reliable data transfer protocols has been simplified and a new sidebar on TCP splitting, commonly used to optimize the performance of cloud services, has been added. In Chapter 4, the section on router architectures has been significantly updated, reflecting recent developments and practices in the field. Several new integrative sidebars involving DNS, BGP, and OSPF are included. Chapter 5 has been reorganized and streamlined, accounting for the ubiquity of switched Ethernet in local area networks and the consequent increased use of Ethernet in point-to-point scenarios. Also, a new section on data center networking has been added. Chapter 6 has been updated to reflect recent advances in wireless networks, particularly cellular data networks and 4G services and architecture. 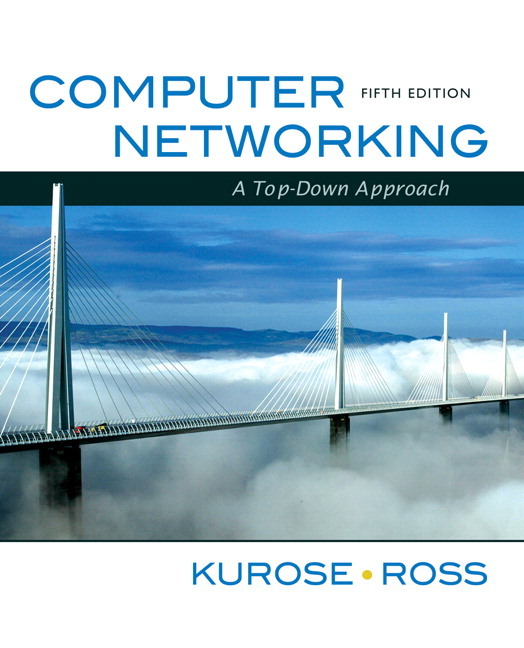 Chapter 7, which focuses on multimedia networking, has gone through a major revision. The chapter now includes an in-depth discussion of streaming video, including adaptive streaming, and an entirely new and modernized discussion of CDNs. A newly added section describes the Netflix, YouTube, and Kankan video streaming systems. The material that has been removed to make way for these new topics is still available on the Companion Web site. Chapter 8 now contains an expanded discussion on endpoint authentication. Significant new material involving end-of-chapter problems has been added. As with all previous editions, homework problems have been revised, added, and removed. James Kurose teaches at the University of Massachusetts at Amherst. His research interests include network protocols and architecture, network measurement, sensor networks, multimedia communication, and modeling and performance evaluation. He received his PhD from Columbia University. Keith Ross is a professor of computer science at Polytechnic University. He has worked in peer-to-peer networking, Internet measurement, video streaming, Web caching, multi-service loss networks, content distribution networks, voice over IP, optimization, queuing theory, optimal control of queues, and Markov decision processes. Professor Ross received his PhD in Computer and Control Engineering from the University of Michigan.